Stockbroking has evolved to be a preferred profession among finance professionals interested in the share stock market. It is a challenging work profile with good rewards for hard-working performers. 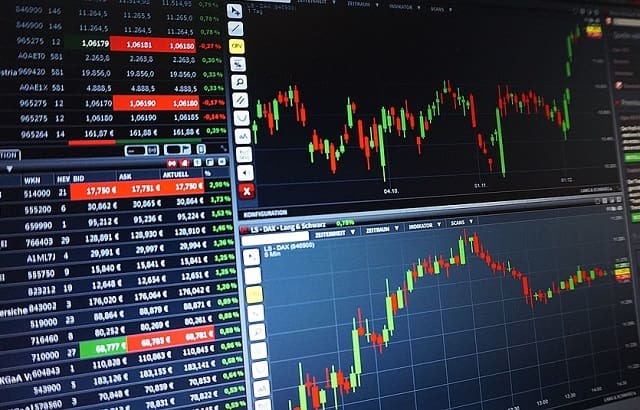 Various stock broker platforms and agencies have blossomed since the development of India’s stock exchanges - BSE (Bombay Stock Exchange) and NSE (National Stock Exchange). Share brokers are required to act as agents of investors to buy and sell shares and securities on the share market. Apart from brokers, there are other intermediaries in the market who aid the buying and selling of securities for investors. Authorized persons work under brokers and are effective sub agents of the stock brokers. They charge commission, fees or salary as compensation and are responsible for the trading of shares on behalf of investors. These authorized persons cannot charge any fee from the clients and are paid by the brokers. 1. Sub brokers are governed by the Stock Brokers and Sub Brokers Regulations, 1992 issued by the SEBI (Securities and Exchange Board of India). 2. As of 3 August 2018, the regulations related to sub brokers were modified by SEBI. 3. Under the past framework, sub brokers were required to be registered under SEBI as per the Stock Brokers and Sub Brokers Regulations, 1992 to conduct business activity. 4. Authorized persons (APs), on the other hand, were required to be registered under the stock exchange they were dealing with. APs are sub agents of brokers. 5. Effectively, the job profile of a sub broker is very similar to that of an authorized person. They both act as agents to main brokers and assist clients in trading of securities on the share market. 6. To reduce regulatory hassle and complication of registration, SEBI has eliminated the sub broker registration with itself through the circular issued in August 2018. 7. With effect of this regulation, the ‘sub broker’ category would no longer be required in the trading markets. 8. SEBI would not grant any fresh registration to people enrolling as sub brokers. Any applications in process with SEBI, would be returned to the stock exchanges for the further return to the applicants. 9. Sub brokers already registered under SEBI have been granted a grace period till 31 March 2019 to migrate to AP (Authorized Person) or Trading Member (Broker) categorization. 10. Those sub brokers who do not migrate to either of the two categories mentioned above shall effectively lose/ surrender their sub broker status by 31 March 2019. 11. Upon migration/ surrender the registration certificate granted to the sub brokers shall be withdrawn by SEBI. i) If a sub broker is registered to act as AP in the Derivatives section, he shall also be permitted to act as AP in the Cash section. ii) If a sub broker is not registered to act as AP in the Derivatives section, he shall register to act as AP in the Cash section with the concerned stock exchange. iii) The sub broker also has an option to register as a Trading Member/ Broker; provided the SEBI rules and exchange regulations are met. 13. The registered sub brokers have to pay a renewal fee to SEBI till FY19. Any fees paid beyond that year shall be refunded by SEBI to the respective sub brokers. 14. The exchange shall also coordinate to streamline the process of migration or surrender of the sub brokers already registered under SEBI as per the previous framework. With the introduction of this new regime by SEBI, the broking and share trading would become more simplified. Regulation of sub brokers will be effectively shifted to the stock exchanges. Sub brokers would migrate to the Authorized Persons or Trading Member category, thus reducing the many subcategories of agents that currently exist. The regulatory burden on SEBI would reduce as a result of the shift of regulation on the stock exchanges for the sub brokers. The secondary capital market has undergone a sea change since the earlier days of floor trading and physical share certificates. Buying and selling of securities was a tedious affair involving a length of time for every transaction. Nowadays, with computerization and dematerialization, the share trade time has reduced to a fraction of a second. Regulatory bodies such as SEBI also intervene frequently to check the processes and prevent system errors on a periodic basis. With the latest regulation related to sub-brokers, the number of intermediaries in the markets would reduce thus improving the turnaround time for share transfers and simplifying the process to a great extent. I hope you enjoyed this article about the latest Security & Exchange Board Of India directives related to sub broker categories. Interested in more articles about investing in the market?